Arrived assembled wrong with platform upside down. Receiver has only one pin hole; on my vehicle it projected too far back. Could not attach receiver bar tightly to back plate. No way to adjust height of platform; so low on my 4X4 Toyota 4 Runner that it was not helpful. If assembled correctly, and it happens to fit your vehicle, it may be OK. 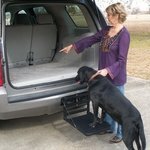 The Hitch-Up is designed for dogs without the ability to jump into a vehicle. The platform allows for your dog to walk in and out with no assistance. 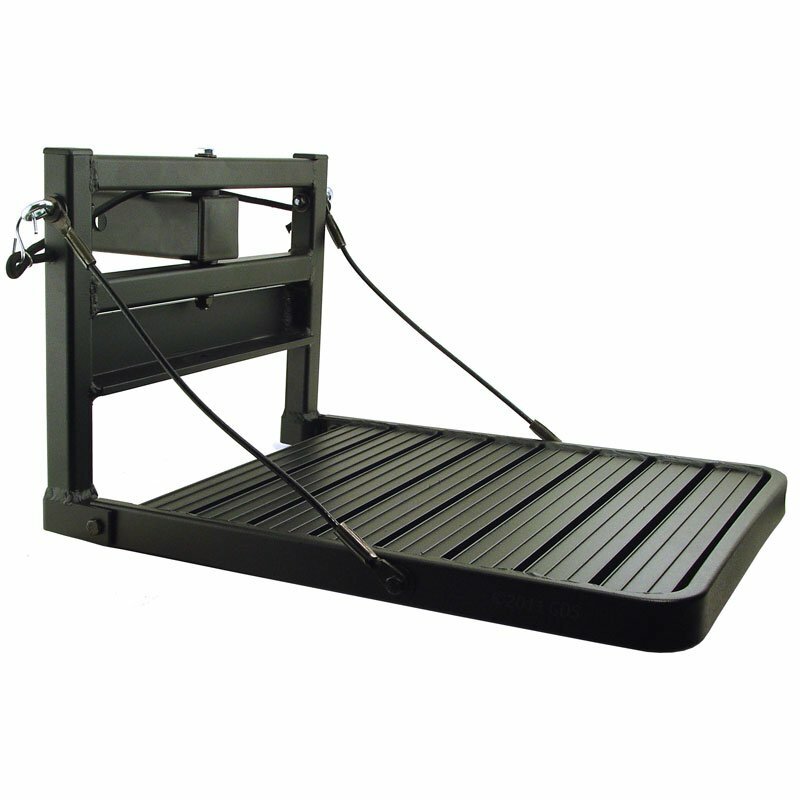 The Hitch-Up attaches in seconds to a regular 2" hitch receiver and folds neatly out of the way when not in use. 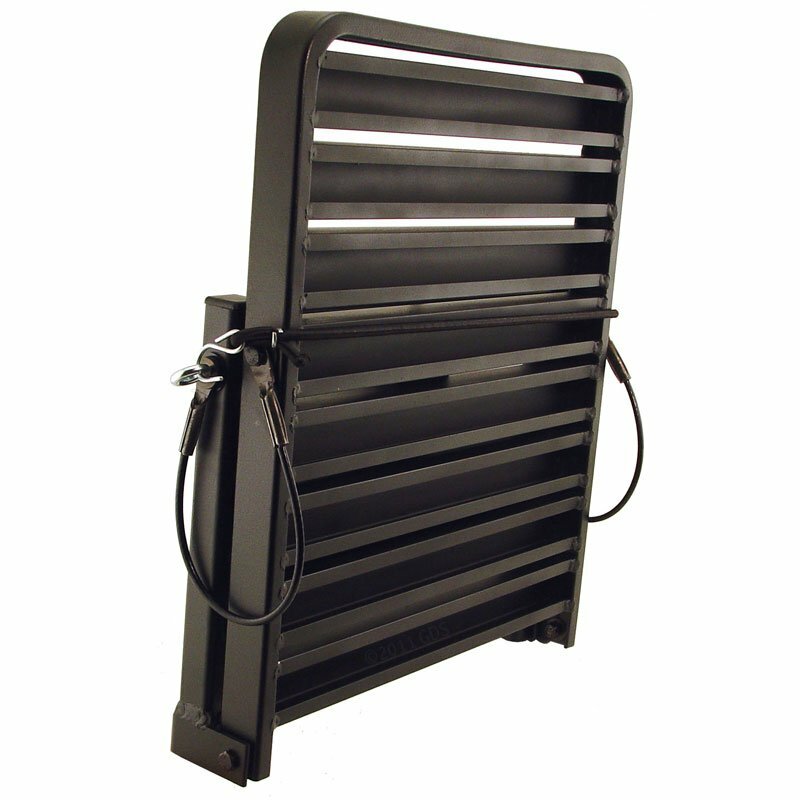 Durable black powder coat finish. Made in USA. 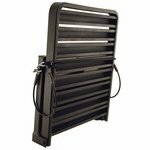 NOTE: The Hitch-up will extend approximately 7.5" below your hitch receiver when installed. Please make sure this leaves you plenty of ground clearance (we recommend that the bottom of your receiver be at least 15-16" above the ground). Not recommend for hitch receivers recessed more than 2".